MESCALERO, New Mex. – A wildfire was detected on Thursday, June 7th at 1500 hours PDT from an unknown human-caused. It is currently under investigation. On June 8, the fire had extreme fire behavior with minimal spread. The wildfire is located about one mile north of the town of Mescalero in Soldier Canyon on BIA (Bureau of Indian Affairs) tribal lands on the Mescalero Apache Reservation. 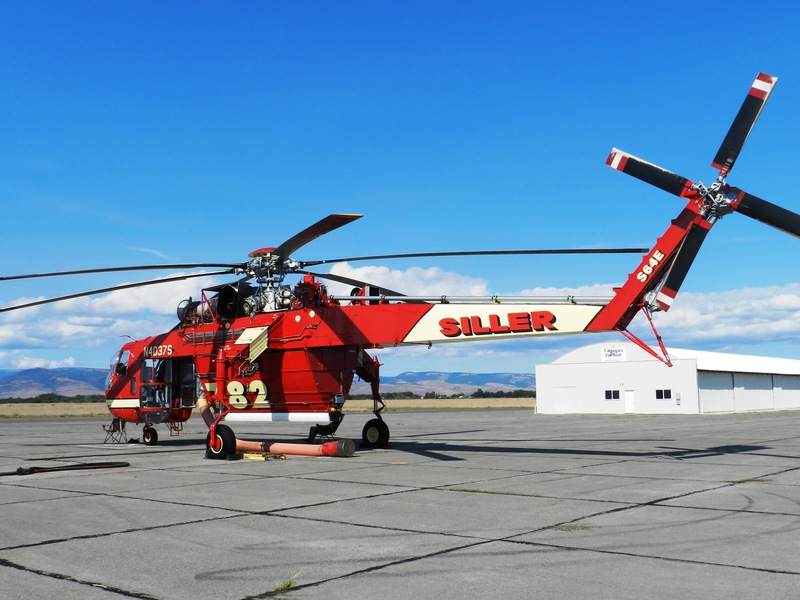 247 personnel are assigned to this incident including 7 Type 1 hotshot crews, 1 type 2 hand crew, 7 engines, 1 type 1 helicopter, 1 type 2 helicopter, 2 Type 3 helicopters and fixed-wing aircraft as needed. The fire has consumed 1,300 acres of ponderosa pine, mixed conifer and pinon juniper. (reduction in acreage due to more accurate mapping). Direct threats to cultural and archeological resources, tribal facilities, rec areas and the Tri-State power lines are currently of concern to Fire Managers. Elevated to Preparedness Level 4. Evacuation orders lifted as of 1500 hours MDT. 1 VLAT, 1 Lead, 1 Air Attack, 1 Type 3 Helicopter, 1 Type 2 Initial Attack crew ordered with an IMET en route. Additionally 2 Airtankers, 2 IHCs (Valyermo, Smokey Bear) ordered. 7 Hotshot crews constructed a fire line directly on the east and west flanks. Structure protection on numerous homes. Type 3 IMT as Command. Air resources, BIA and US Forest Service en route. Estimated 300 – 400 people evacuated. Tri-State power company shutting off power to Tularosa Mescalero Ruidoso Downs at 1345 hours to enable slurry bombers can attack the fire. Fire gaining ground near Mescalero in the Sacramento Mountains. Type 1 IMT ordered and due to arrive on June 8, 2018. Up to 200 acres and increase fast initially). Mandatory evacuations in progress for : Blank Canyon, Windy Point, White Mountain subdivision. US 70 mile marker 270 (Tularosa) to mile marker 248 (Mescalero) closed in both directions. Shelter at Mescalero Community Center, Mescalero Reformed Church, Tularosa Rec Center. Weather conditions – light and generally from the east at the surface but smoke moving northeast due to mid and upper-level wind direction. Dry storms nearby causing gusty, erratic conditions. 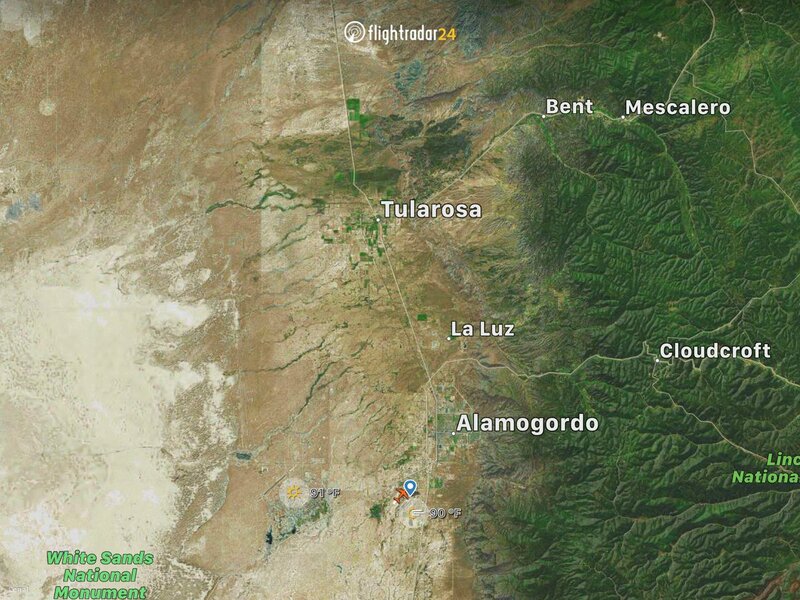 Reports fire can been from Santa Fe County, a dark orange bank of clouds far behind the Ortiz Mountains. Thunderstorms are expected for the area that may bring light rain and erratic winds to the fire area. Some crews are on stand-by ready for any new starts that may appear in the area. Fire danger is extremely high and restrictions remain in place for the Sacramento Mountain Range and Mescalero Apache lands. SUMMARY | Here are the wildfires for the State of Idaho for Friday, August 11, 2017. NOTE: Fire CAD Activity Report is not included due to many new wildfires. Previously reported. The IBEX fire is located about 23 miles NW of Challis. Fire behavior is active with crowning, torching and long-range spotting. 20 personnel are assigned. Structures are threatened. Unknown additional resources/equipment are on-scene or the amount of the CTD. The Power Line wildfire is burning on BIA land managed by the Fort Hall Agency, about 20 miles SW of Pocatello, Idaho. The fire has burned about 53,076 acres of brush, short grass. Fire behavior is currently minimal that is creeping and smoldering as some rain fell over the fire ground on Tuesday. There are 468 personnel along with 12 crews, 23 engines and 6 helicopters assigned. The cost-to-date is now $1.8. Million. The Hanover wildfire is burning on the Nez Perce – Clearwater National Forest, about 4 miles NE of Florence. Timber and brush are currently burning. Since Thursday, there has been 6,56 acres scorched but fire crews have reached a 15% containment status. The fire behavior is moderate with uphill runs and long-range spotting. Structures are still being threatened. Attached to this incident are 318 personnel with 1 crew, 9 engines and 10 helicopters. CTD is $2.7 Million. ** New! ** The Lone Pine fire is located 43 miles East of Kooskia. Fire behavior is active with structures being threatened. There has been 5,292 acres burned but a 0% containment status has been reached. There are 0 personnel or additional resources working this fire. Structures are being threatened. $6,000 CTD. ** New! ** The Moose Creek 1 fire is located 50 miles East of Kooskia. There is active fire behavior but 4,231 acres have been consumed. There is a 90% containment status currently. 288 personnel are on the fire line with 6 crews, 5 engines and 1 helo. CTD is $6.3 Million. ** New ** The Rattlesnake fire is located in the same areas as the Moose Creek 1 Fire, Lone Pine Fire, Mink Peak Fire, Buck Lake Creek Fire, Bleak Fire and Plummer Fire on the Nez Perce – Clearwater NF. It is also 16 miles East of Dixie. Fire behavior is moderate with uphill runs, flanking and backing. There have been 3,810 acres destroyed with a 0% containment status. There are no other resources on this wildfire. CTD is $27,000. ** New! ** The Mink Peak fire is located 45 miles EAst of Kooskia on the Nez Perce – Clearwater NF. Since this was reported 642 acres of timber and grass have been burned. Fire behavior is active with backing. There are no resources on this fire. CTD is $5,000. ** New! ** On the same National Forest, Buck Lake Creek fire is burning about 19 miles NE of Elk City where 364 acres of timber and tall grass have been consumed. There are no resources on this wildfire and there is no containment status reached. There is minimal fire behavior at this time. CTD is $2,000. ** New! ** The Bleak fire is 20 miles NE of Dixie that has minimal fire behavior with backing, flanking and creeping. About 166 acres have been burned and there is a 0% containment status. $17,000 CTD. ** New! 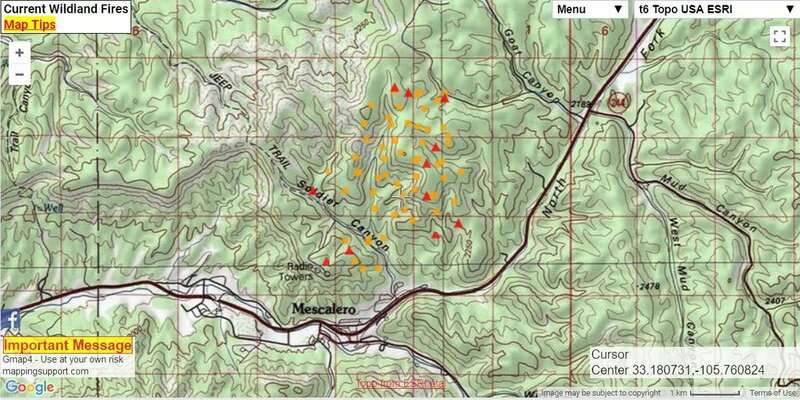 ** The Plummer Fire is located 18 miles West of Dixie and fire behavior is backing, flanking and creeping. There are no resources assigned to this incident. 150 acres consumed and there is a 0% containment status. $1,000 CTD. Previously reported. Fire is about 20 miles SW of Pocatello. Fire behavior is minimal but structures are still being reported as being threatened. 55,787 acres have been scorched but it is almost fully contained at 98%. There are 360 personnel assigned with 8 crews, 17 engines and 4 helicopters. 1 structure has been destroyed. CTD is $3 Million. Previously reported. The Highline Fire is located on the Payette National Forest and about 4 miles North of Chamberlain Basin. About 9,150 acres have been burned. There is a 0% containment status being reported. 40 personnel remain on the fire line along with 1 helo. Fire behavior remains active and structures are under threat. CTD is $24,000. SUMMARY | Here are the wildfires for the State of Idaho for Wednesday, August 9, 2017. NOTE: Fire CAD Activity Report is not included due to time constraints. The Hanover wildfire is burning on the Nez Perce – Clearwater National Forest, about 4 miles NE of Florence. Timber and brush are currently burning. There has been 5,915 acres burned with a 0% containment status. Fire behavior is moderate with uphill runs and long-range spotting. Some structures are being threatened. There are 294 personnel deployed with 7 crews, 9 engines and 8 helicopters. About $2.3 Million in fire suppression and containment costs to date have been reached. The Duncan Fire joins this wildfire family which is burning on BLM lands of the Boise District, about 45 miles SW of Mountain Home, Idaho. Fire behavior is moderate with running and flanking. It has scorched about 600 acres of short grass and brush. Resources include 97 personnel, 1 crew, 10 engines and 2 helos. Total CTD is $150,000. A level 1 evacuation alert was issued by The Confederated Tribes of the Colville Reservation’s Mt. Tolman Fire Center today at 1530 hours for a fast-moving fire. The location of the fire is said to be South to SE of Elmer City, Washington which is a town of approximately 240 residents (2015 census). A Washington Department of Natural Resources (DNR) resource was requested at 1517 hours for Air resources to respond to the Colville Indian Reservation. The National Weather Service (NWS) is reporting weather in nearby Omak with current winds at 16 m.p.h. and gusts up to 20 m.p.h., as well as relative humidity (RH) of 23%. It is mostly sunny with temps of 74* degrees. We’d love it if you’d follow here on our Blog, Twitter (@nwfireblog) and on Facebook! Thank you for reading our post today and be sure to check back with us for updates on this fire and others. Wishing you all a Safe Sunday wherever your journeys may take you. 5 “new” fires were reported. 0 new large fires have been reported. 1 fire is currently burning in the area named Bogus Creek Fire. It is located in the Southwest area within the Department of Forestry. The fire started on FWS lands and is approximately 37 miles SW of Aniak. Moderate fire behavior of burning grasses. Structures are currently threatened. 25, 260 acres scorched. 68 personnel on the ground including 3 crews and 1 helicopter. Cost-to-date is approximately $460,000. The States’ Fire Managers reported 2 “new” fires, with 1 of them being as an “uncontained” active burning wildfire. Spring Fire is being fought by the Papago Agency on Bureau of Indian Affairs lands, located 20 miles SE of Sells, AZ. There is minimal fire behavior of burning brush. Structures were listed as being threatened. The fire has consumed 1850 acres. Fire is reportedly at a 90% containment status. 24 personnel are on scene with 1 crew and 1 engine. Cost-to-date damage is listed at an estimated amount of $450,000. 1 “new” fire has been reported and is currently burning, as an “uncontained’ event. Celebration Fire is located in the Bureau of Land Management’s Boise District, four miles NE of Murphy. There is a moderate fire spread with driven winds, burning fire fuels of brush and grass. About 7,400 acres have burned and are currently at a 90% containment status. 62 personnel with 1 crew, 6 engines, and 2 helicopters are still on scene. Cost-to-date is estimated at $125,000.